Businesses do not stand alone, and our Swazi Trails services, in many cases, are based on the input and professionalism of our suppliers. As proponents of responsible tourism, we are also cognisant of the need to support other local businesses, especially small businesses. We aim to retain as much foreign exchange within our destination as possible, as this spreads meaningful benefits from tourism to the broadest sectors of society. In that regard we are happy to share with you some of the business relationships that we have locally, as well as to point out similar businesses to ours in other destinations, which we have regular contact with and who we don’t hesitate to recommend. Adventure Sports – Swaziland’s leading cycle shop. We source all our bicycles (MTB’s) here and servicing account for regular maintenance to keep them on the road… or should we say off-road? Alexander Forbes Insurance Brokers and Swaziland Royal Insurance Corporation (SRIC) – insurance is a necessary evil in this crazy litigious society that we live in. These guys make it possible for us to have the courage to take all sorts of crazy people on all sorts of crazy outings. Bandag Tyres – as you can well imagine, as transport operators we go through a lot of tyres. Bandag give as a good deal that does not compromise our commitment to passenger safety. Computronics Systems and Netcomm– our suppliers of computer hardware and network maintenance. Without them we would struggle to be growing as rapidly online as we are currently. They help us to maintain a very high percentage of online up-time. In December 2014 Netcomm got us up and running for the festive season with a new server after a lightning strike on the 23rd Dec… something for which we will ever sing their praises. Embroidery Specialists – almost all our branding, be it on t-shirts, fleeces, life-jackets, caving overalls, stickers or banners gets done in Matsapha with this dynamic business run by Estelle van Zyl. Europcar Swaziland – the biggest and best rental car agency in Swaziland. We have been doing business with them since 1987. Despite the world of global acquisitions which has seen Imperial Car becoming Hertz-Imperial, then later Europcar – its still the same business, run by the same people, in the same reliable and efficient manner. FNB Swaziland – our bankers. They’re totally 1st-world in their service and online functionality. Business would not be possible without them. Hyundai Swaziland – we’ve settled on the Hyundai H1 as the best value people-mover on the market. Our vehicles are bought new and serviced through our local dealership in Mbabane. 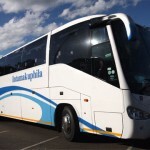 Intamakuphile Coach Hire – this local business has top quality coaches of international standard. New, well-maintained, reliable drivers and great people to work with. Our long-term relationship ensures us preferential rates – let us source a quote for you. Litsemba Lemahlanti Transport – is our local supplier of mid-sized vehicles – 15 and 22-seater Sprinter buses. Mabel at Mahlanya market – we get most of our fresh fruit and veg from Mabel, a vendor at Mahlanya Market… and have been doing so since 1991. Can you believe that – talk about a relationship that has stood the test of time. Mbabane Motors – our local GM dealership. Our fleet is now entirely sourced from this reliable stable and includes our custom-designed rafting truck, our Isuzu’s and Chev Trailblazer vehicles. This we were we find them, fix them and finally flog them. Netstar Swaziland – keep us safe and closely monitored whilst our vehicles are parked or on the road. Pansolutions – Cory’s Ltd t/a Pansolutions supply us with a Panasonic PABX system and they are really good at solving the inevitable problems with lightning strike damage… even when it happens on Xmas Eve. Phakama Coach Hire – another local coach hire business that we have done many many kilometres with. RS Auto Electrical – Robin Sparham is not only our first-stop for auto-electrical issues, but he is our quad bike mechanic, ensuring that despite the beating they take, our quads remain safe and operational. The Clinic Group and Traumalink 911 – our local private hospital and paramedic service. We maintain a close relationship with them, such that our clients are afforded immediate medical attention on the rare occasion that they might need it. Times of Swaziland – our gateway to the local market in Swaziland. A great newspaper with the broadest reach in Swaziland. African River Kraft – we go as far as Cape Town to Billy and Steve to get our white-water rafts… and for a good reason too – they last! African Travel Gateway – for upmarket travel in Southern and East Africa – a solid and recommended business. Gravity Adventure Tours – as fellow members of APA ( the African Paddling Association), and white-water rafting operators of note, Gravity also provide river guide training. It’s Andrew and his crew who we rely on to keep our guides on their toes through regular training and assessment. Malawi Hotels and Tours – Our online booking partner for Malawi Hotels and Tours. Roc ‘n Rope Adventures – apart from operating a really professional rock-climbing, abseiling, team-building and general adventure operation in nearby Waterval Boven, Mpumalanga, (which we can happily recommend) Gustav and Alex at Roc ‘n Rope also supply us with abseil equipment, caving helmets and abseil supervisor guide training.